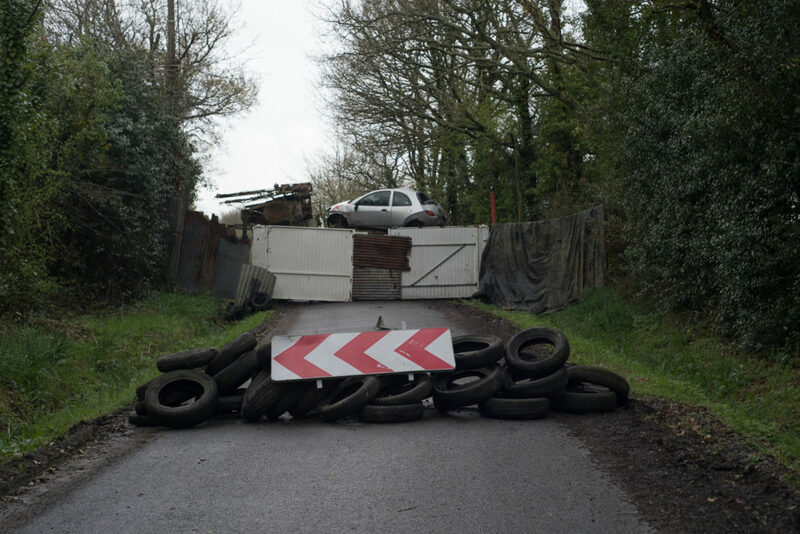 One of the lanes where clashes take regularly take place. 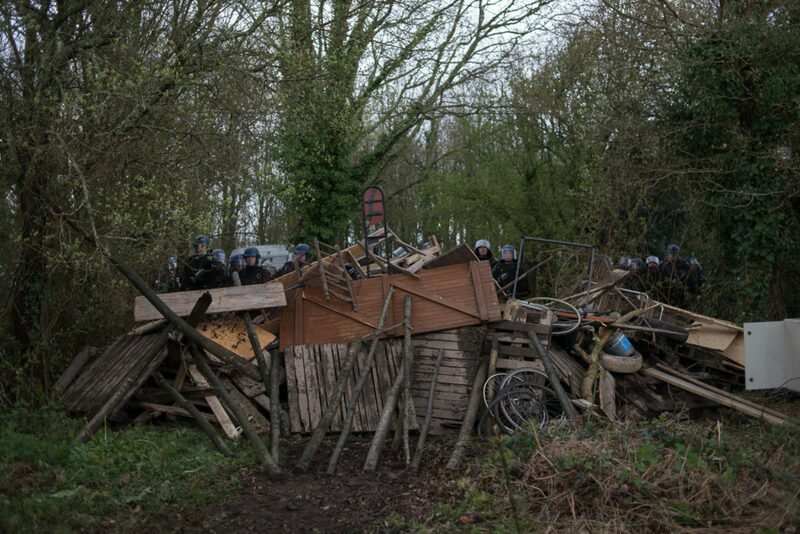 The bocage with its intruders. 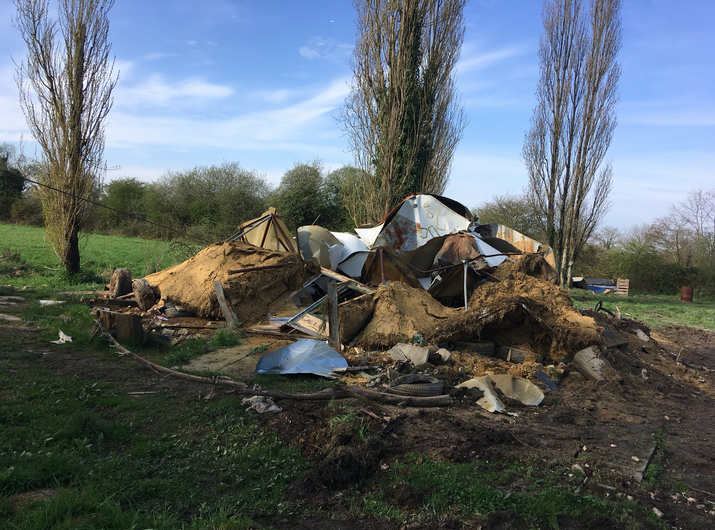 The Lama Sacrée first place to be destroyed. 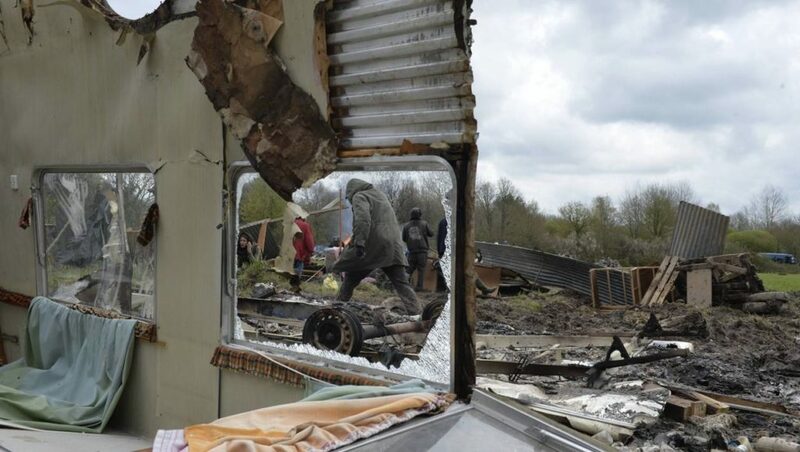 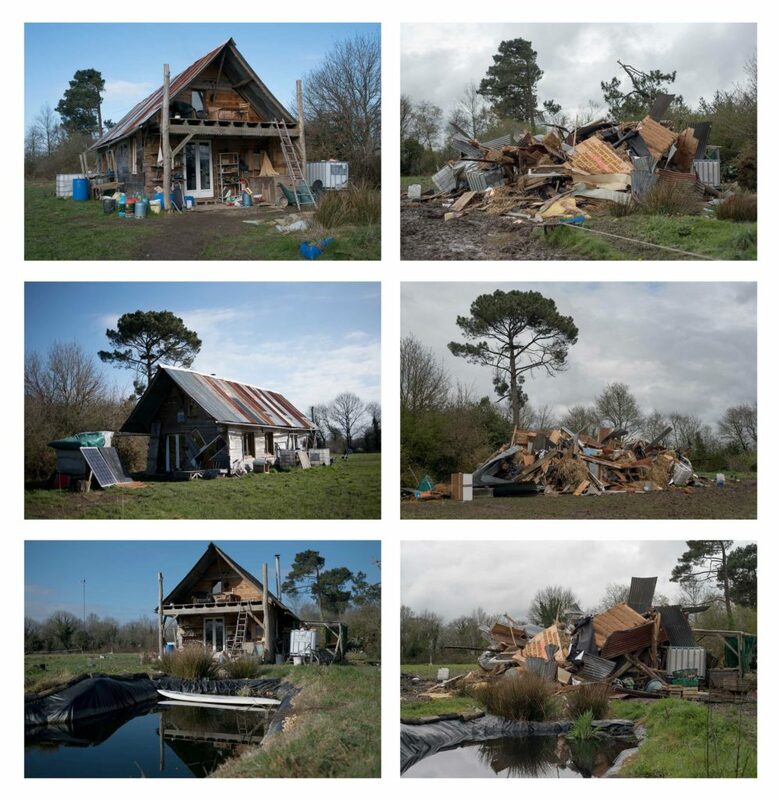 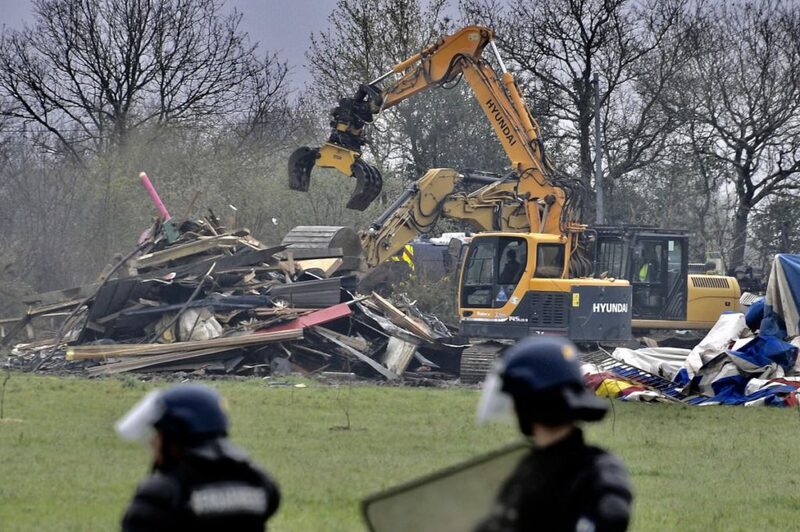 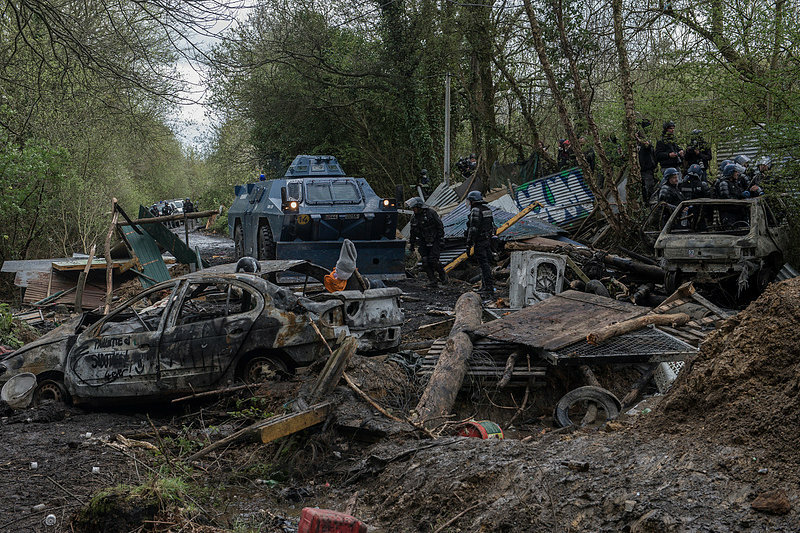 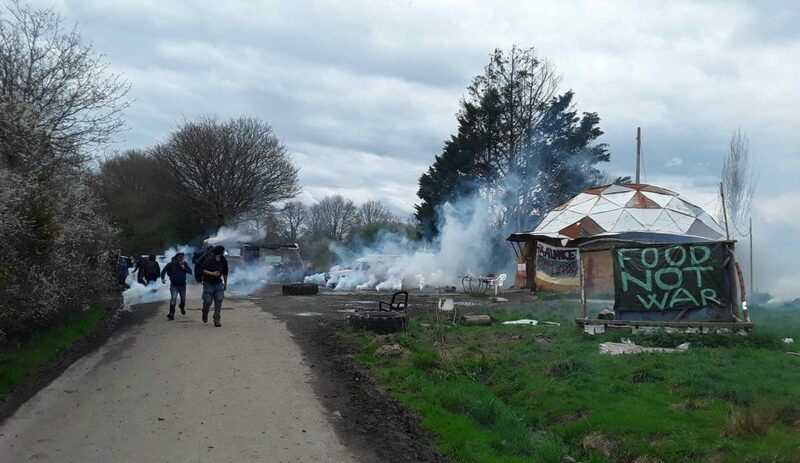 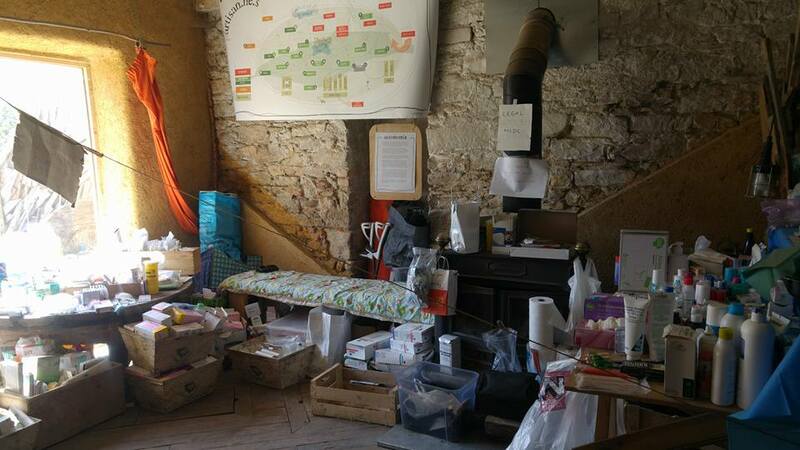 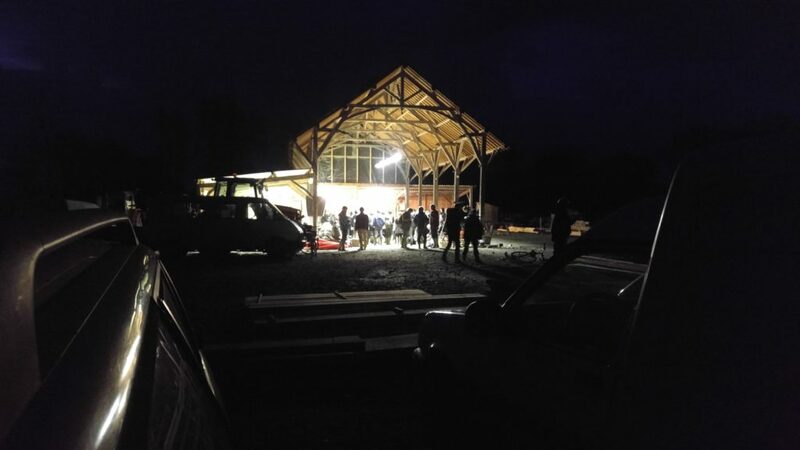 La Chevrerie a few hours after it has been destroyed during the eviction operations in ZAD de Notre Dame des Landes photo: Penelope Thomaidi. 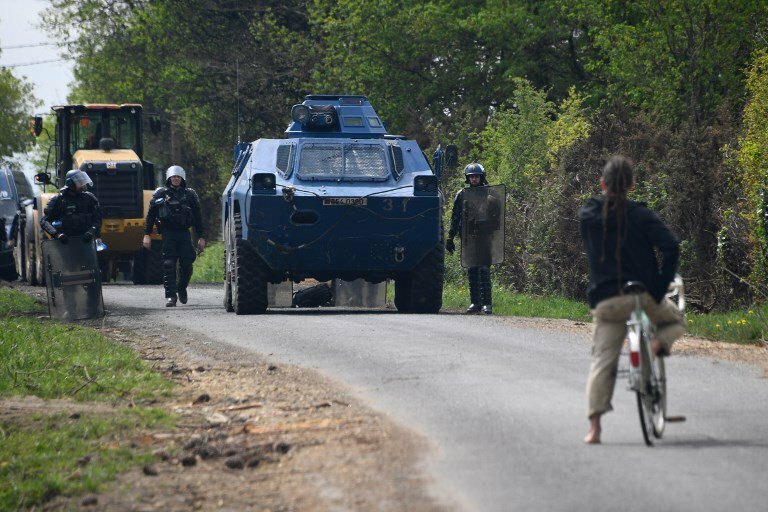 The Armoured car about to catch fire at the Vraies Rouges. 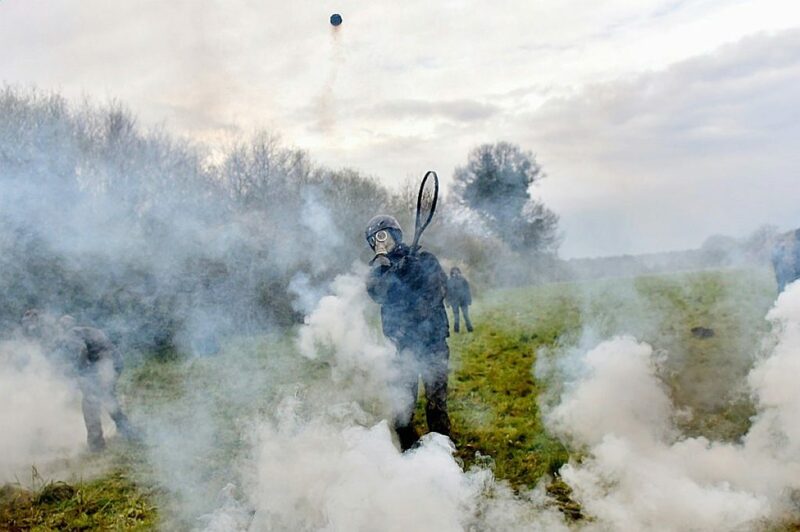 Labelled a "Domestic Extremist" by the police, and “a magician of rebellion” by the press, John Jordan has spent the last 25 years merging art and activism. 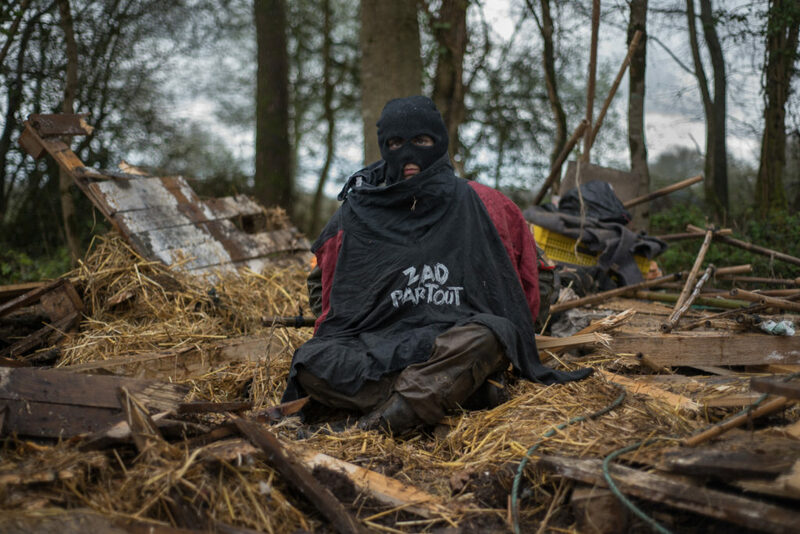 Working in various settings from Museums to squatted social centres, International Theatre Festivals to climate camps, he Co-founded Reclaim the Streets and the Clown Army, Co-edited We Are Everywhere: the irresistible rise of global anti-capitalism" (Verso), and co-wrote the film/book Les Sentiers de l’Utopie (Editions Zones,2012). 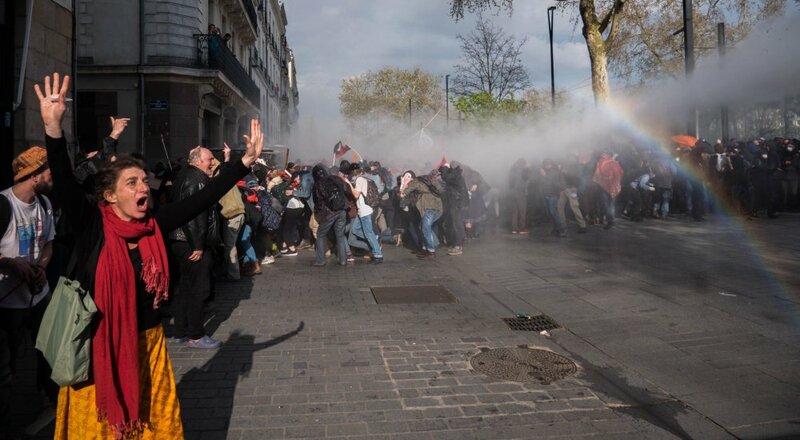 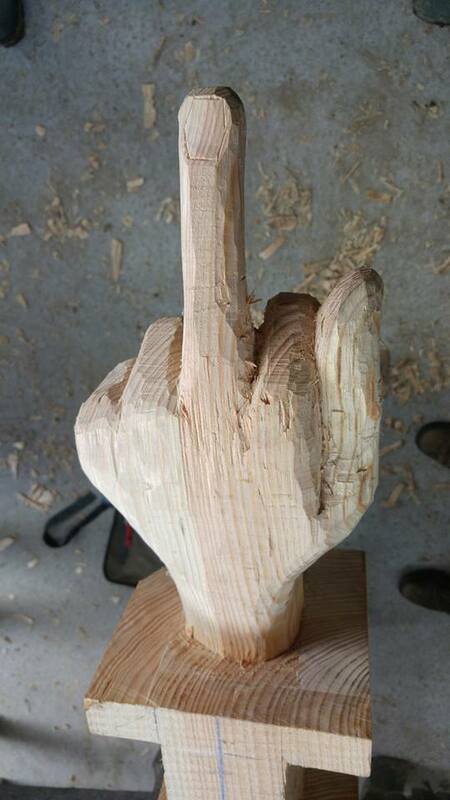 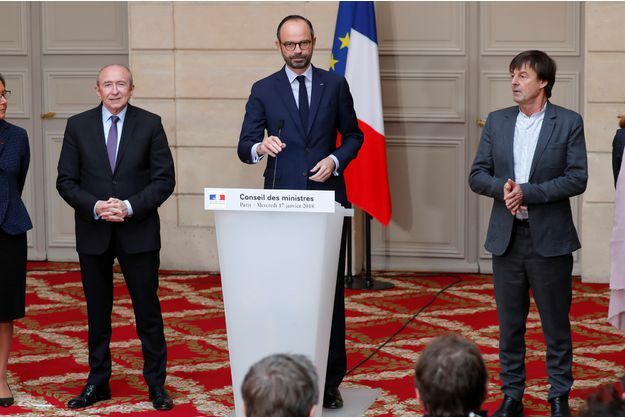 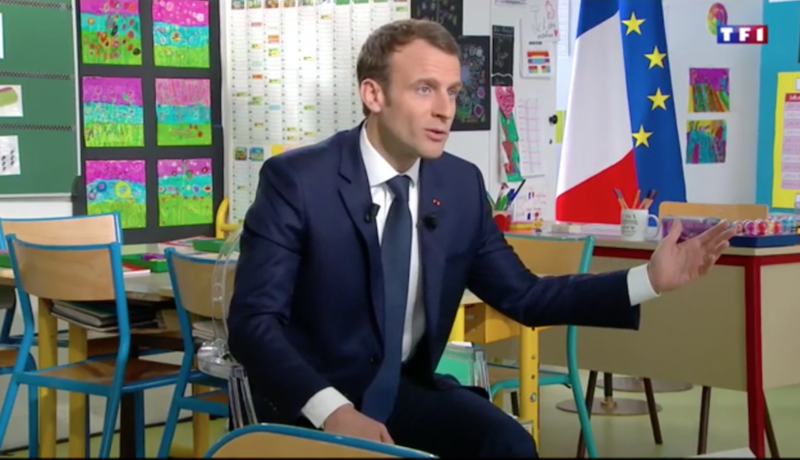 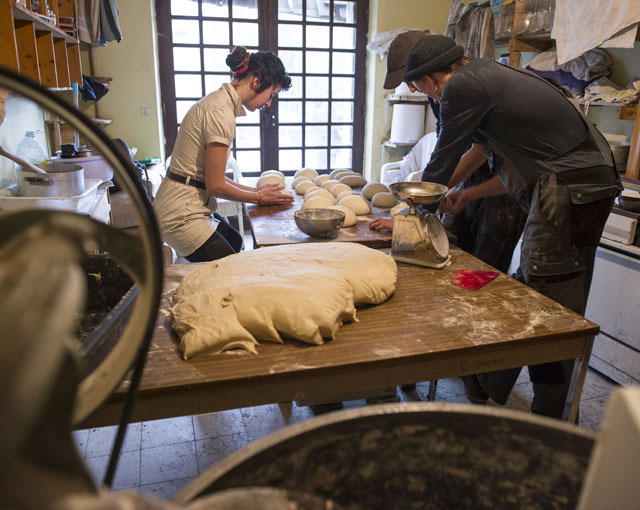 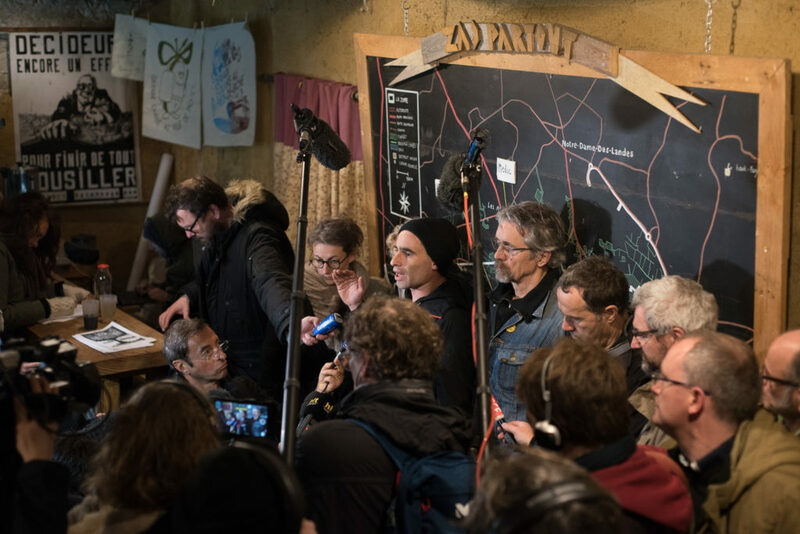 He now co-facilitates the Laboratory of Insurrectionary Imagination (Labofii), with Isabelle Fremeaux. 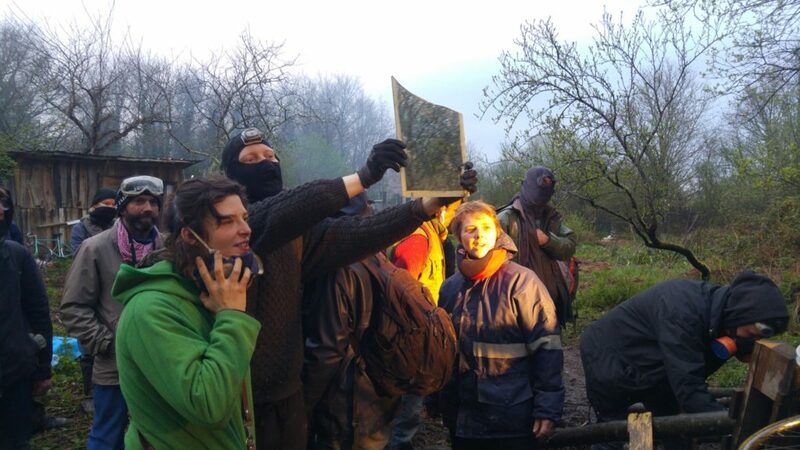 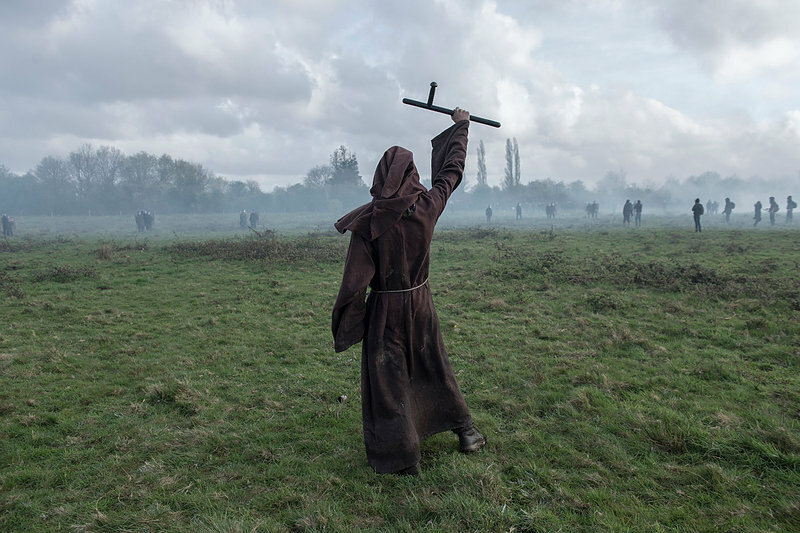 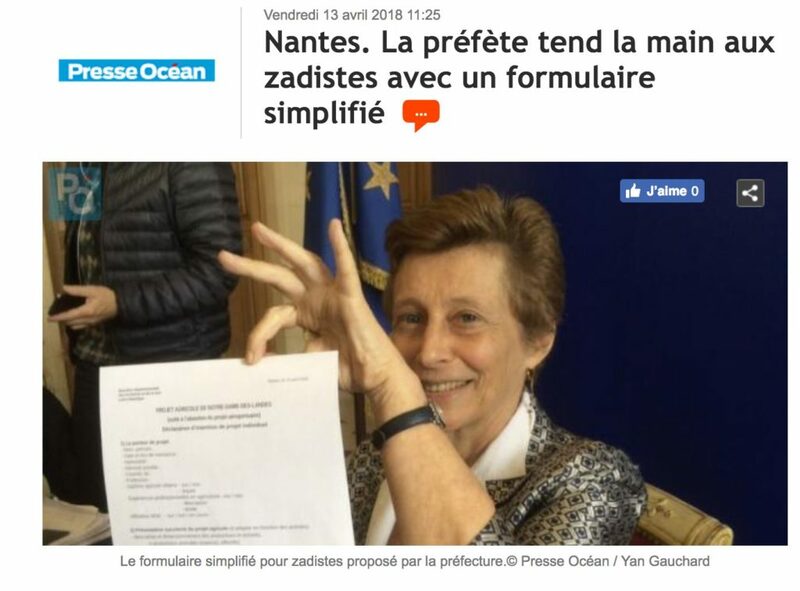 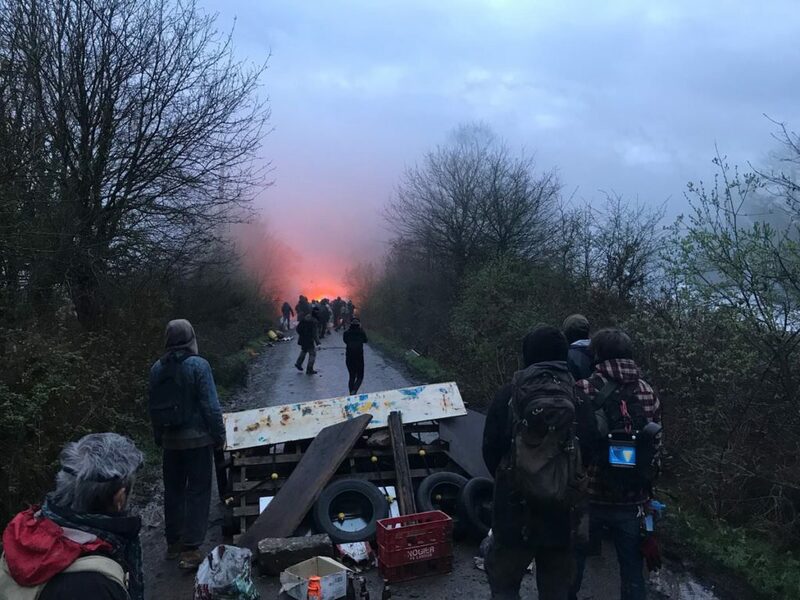 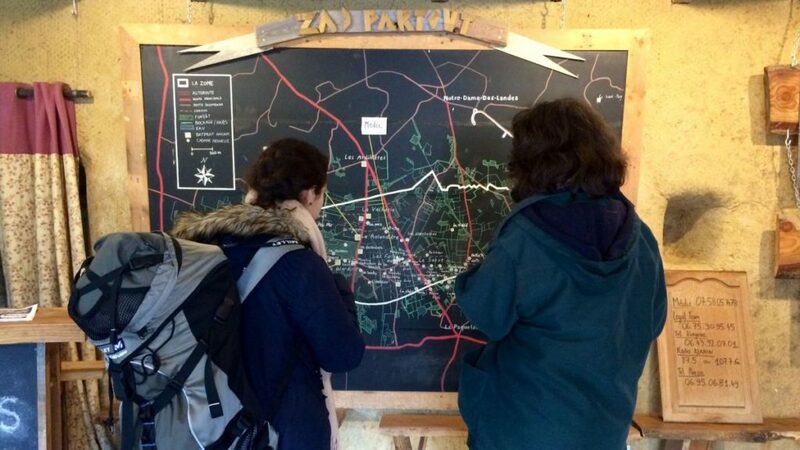 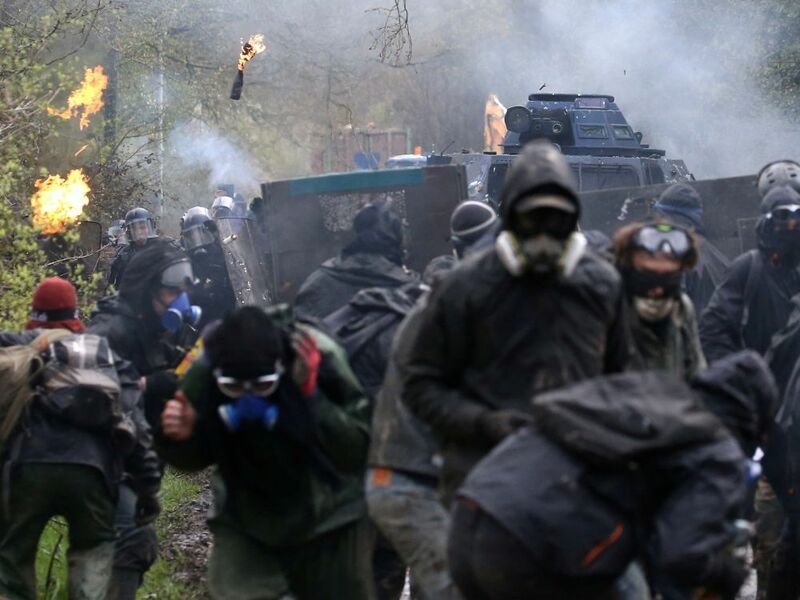 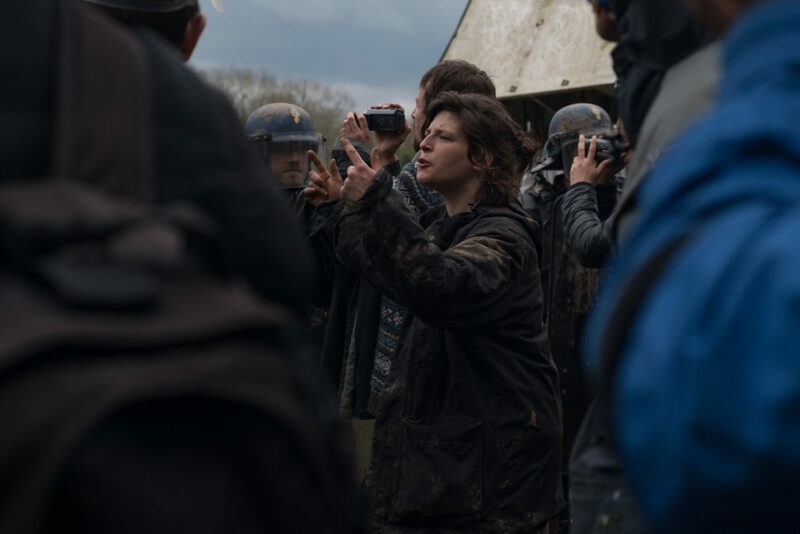 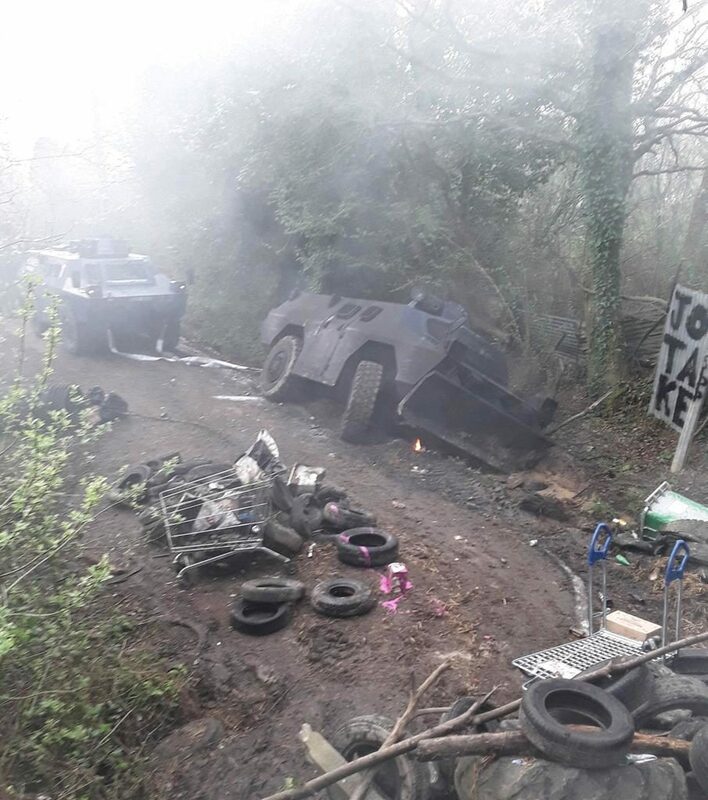 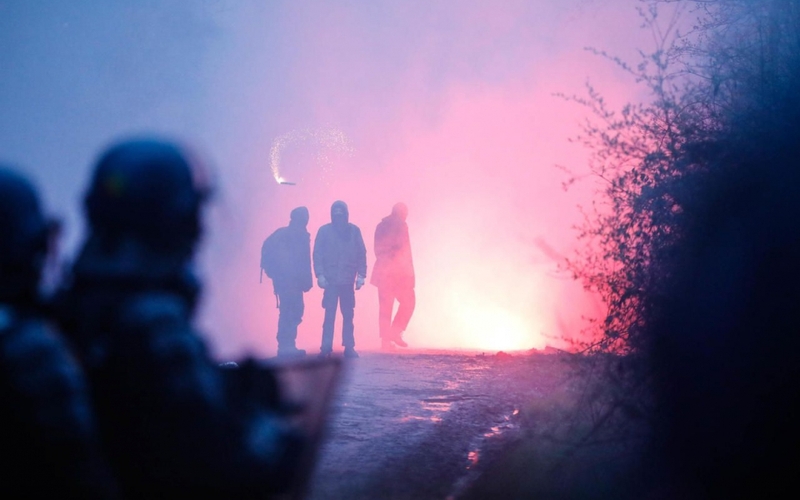 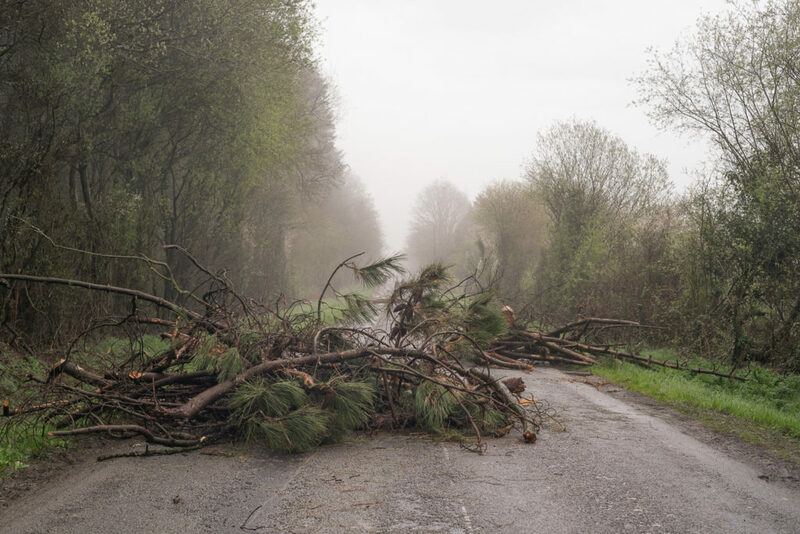 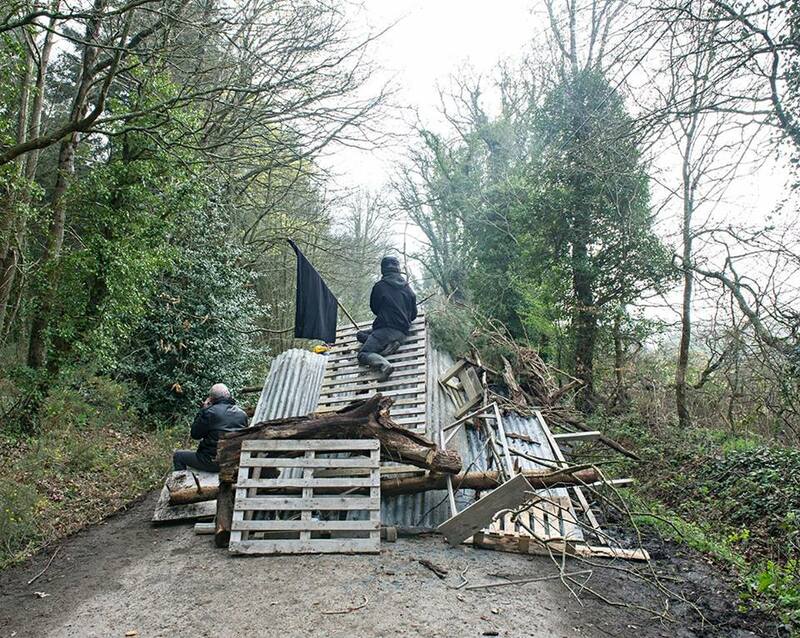 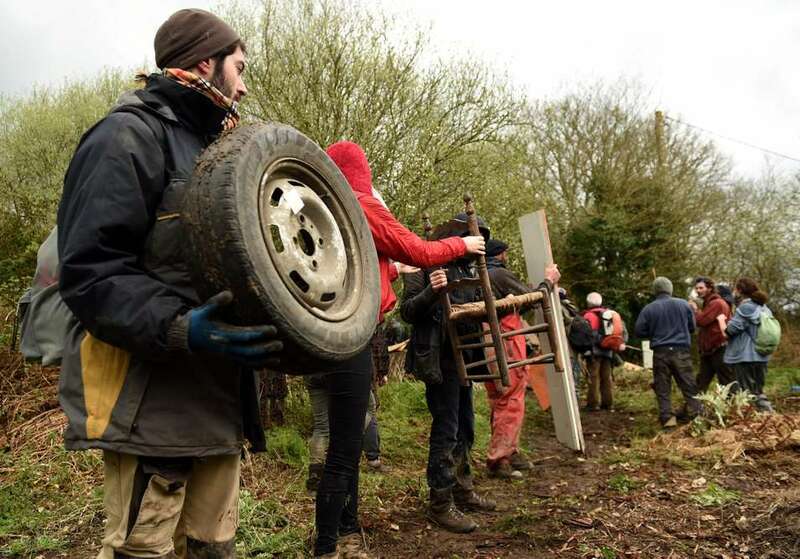 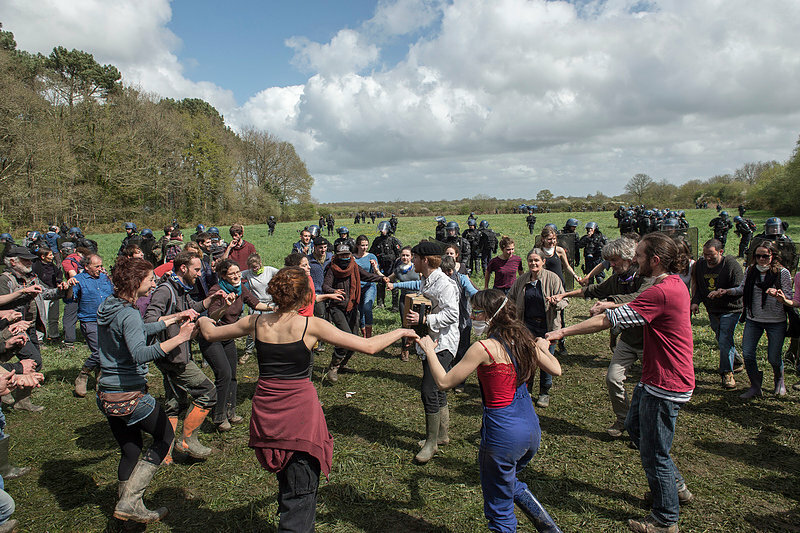 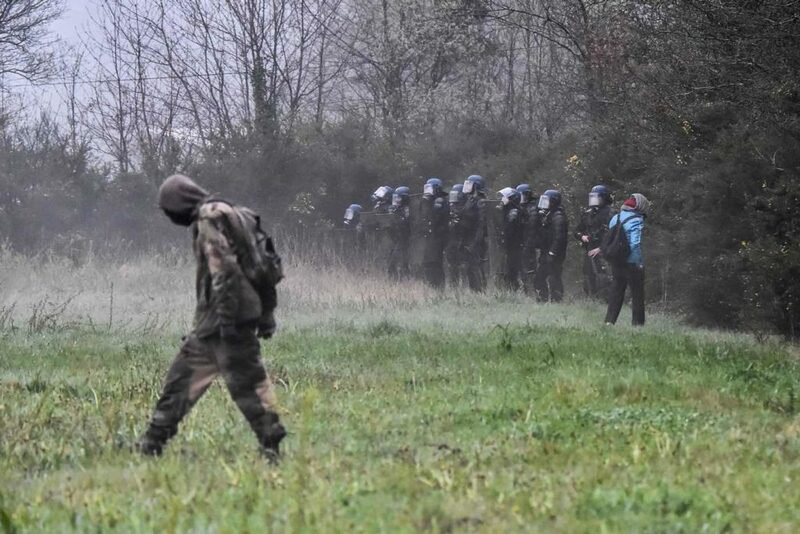 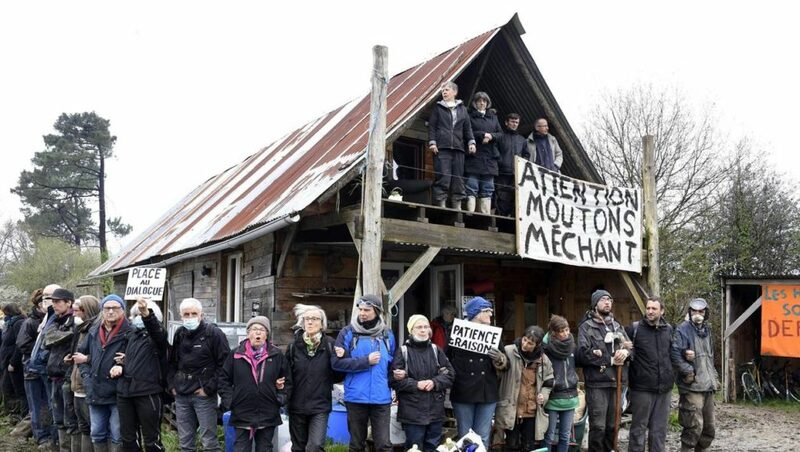 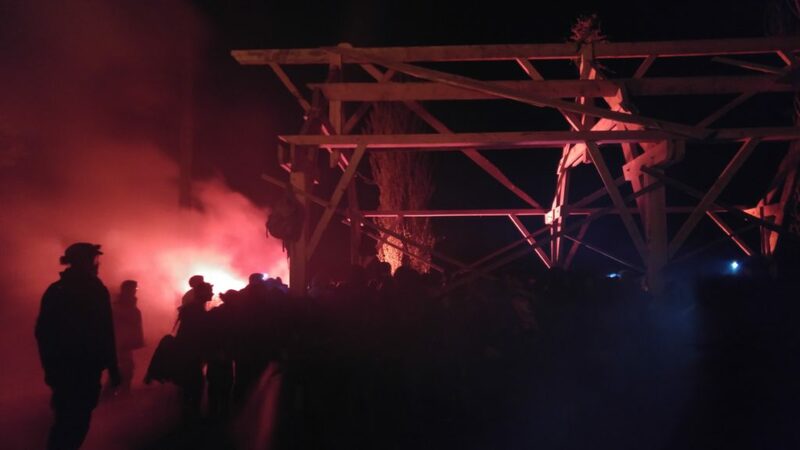 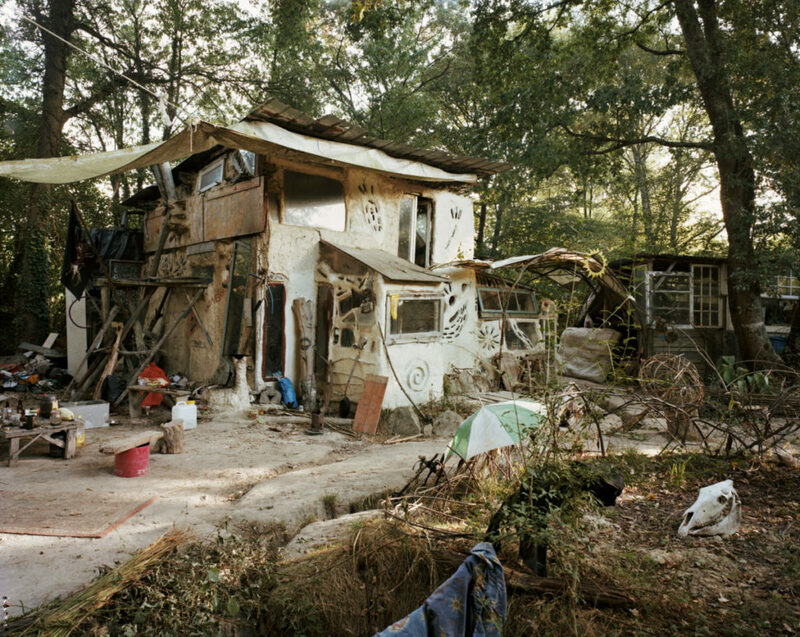 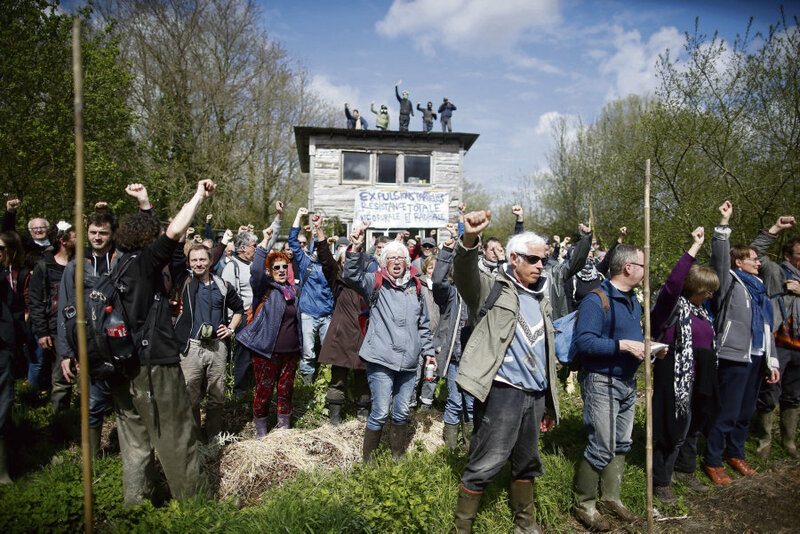 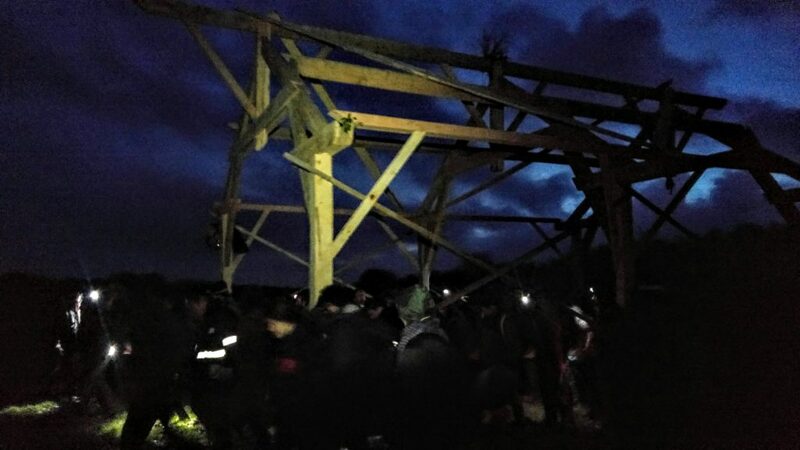 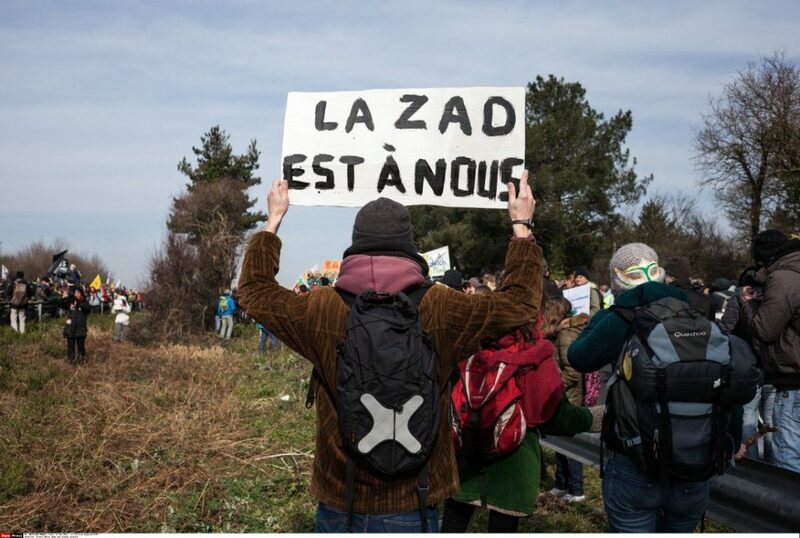 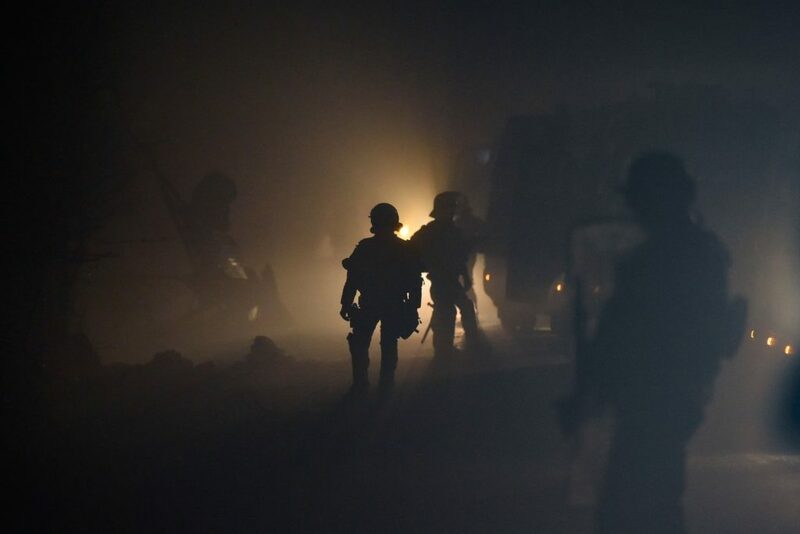 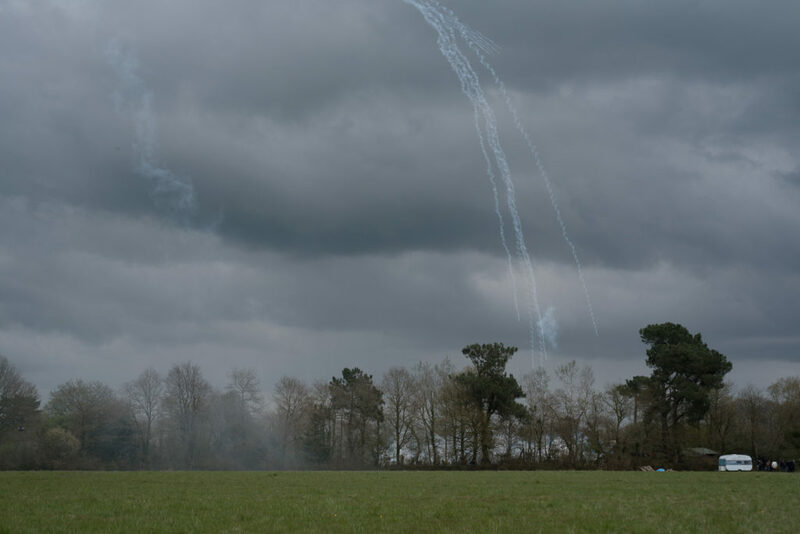 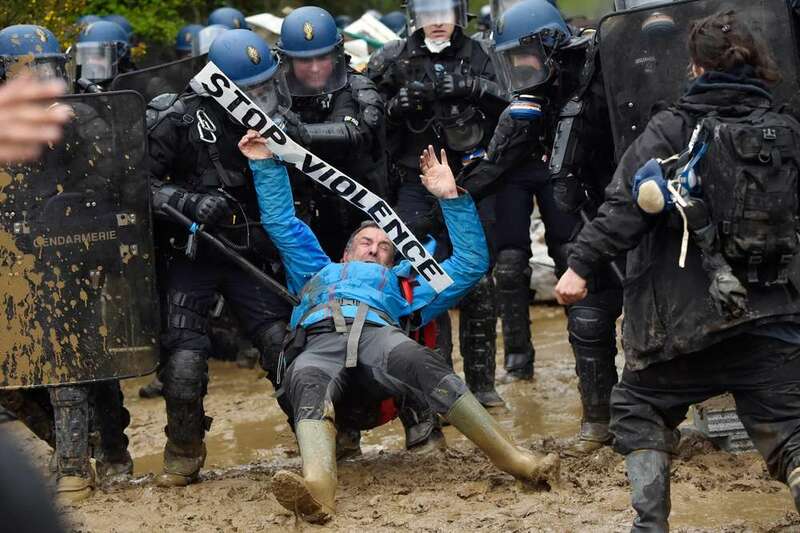 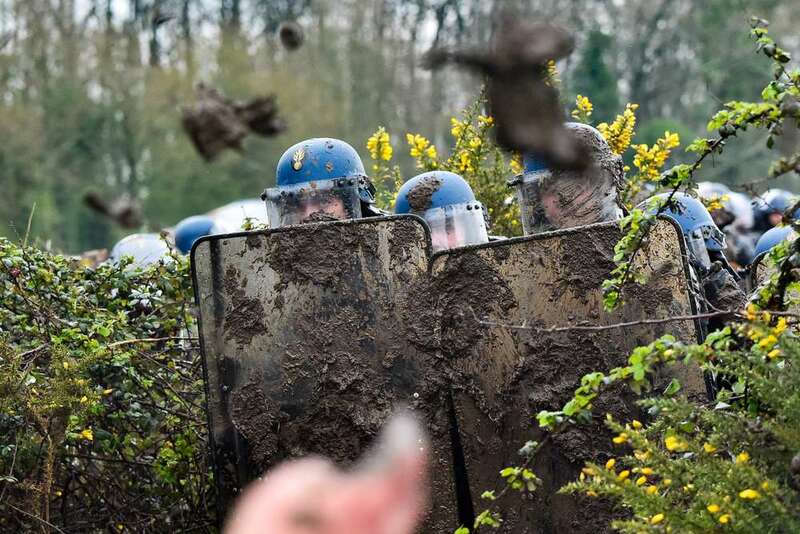 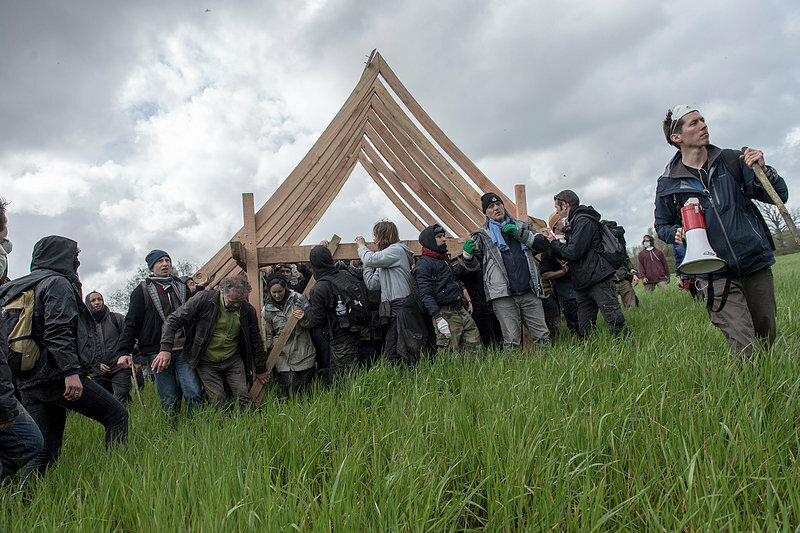 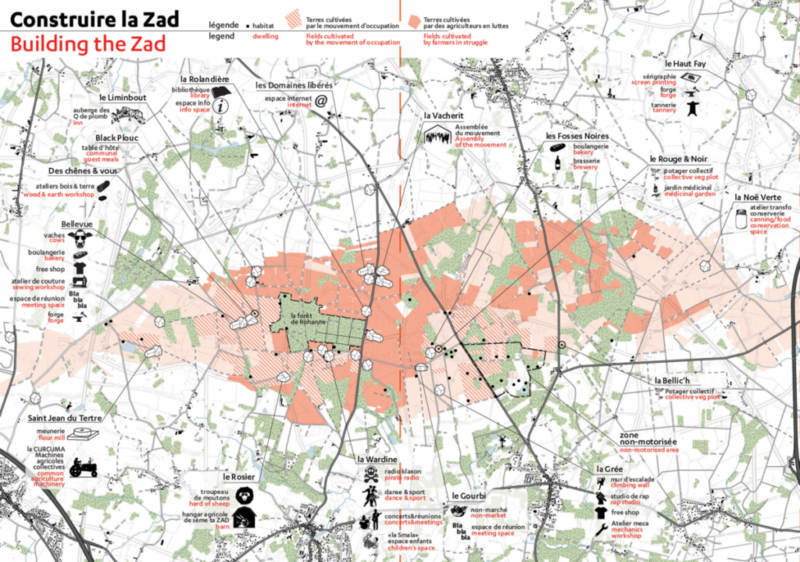 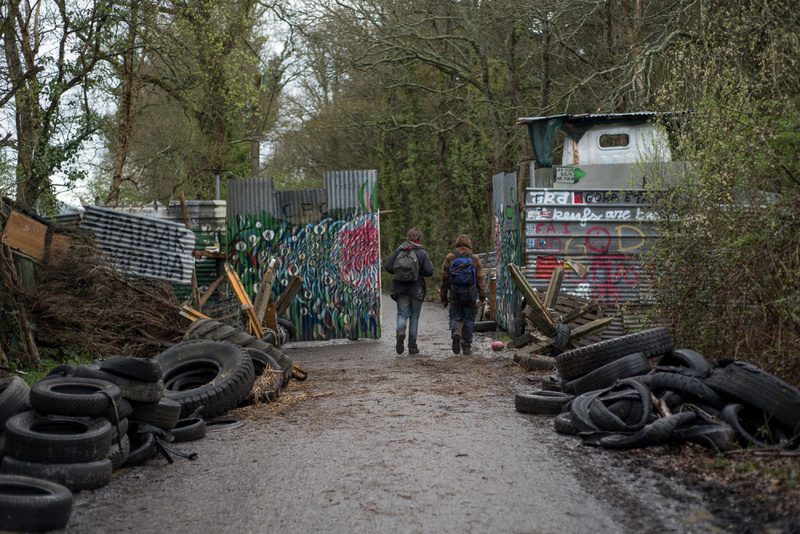 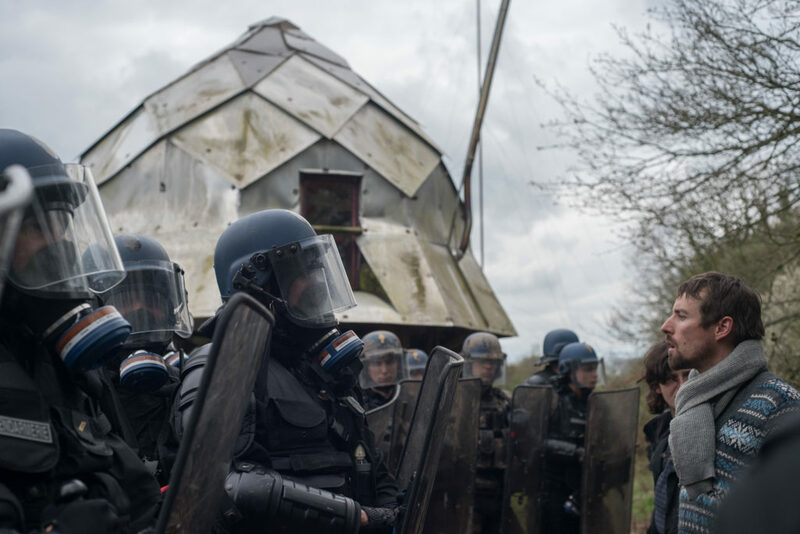 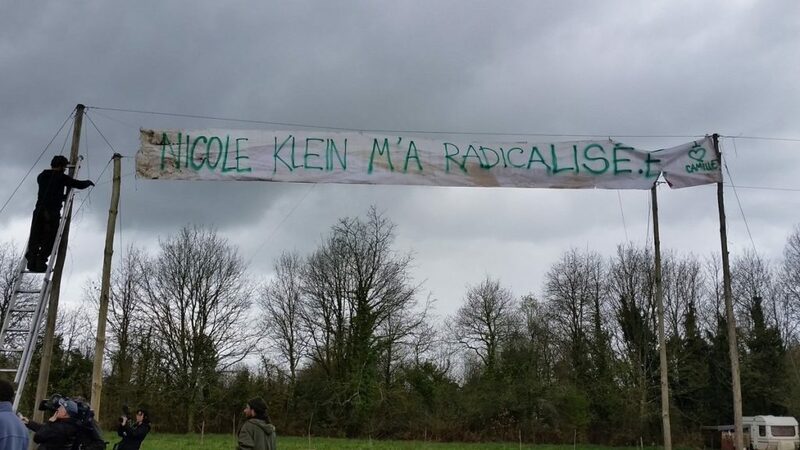 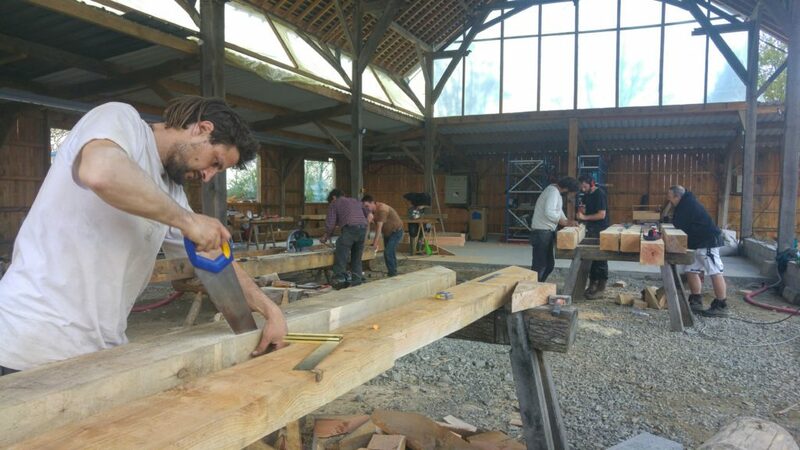 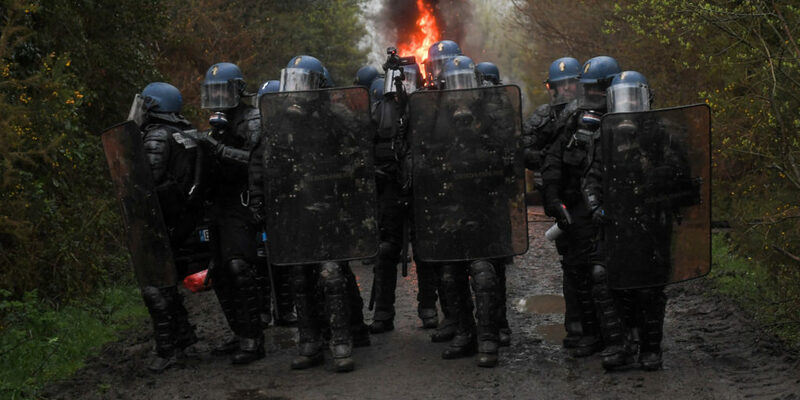 Infamous for fermenting mass disobedience on bicycles, throwing snowballs at bankers, launching a rebel raft regatta to shut down a power station, running workshops in postcapitalism and refusing to be censored by the Tate Modern, the Labofii now lives on the autonomous zone of la zad of Notre-dame-des-Landes, 'a territory lost to the republic,' according to the French government.